Jose Mourinho is manager of Inter Milan. Speculation will increase that Frank and Didier will join him but you can almost guarantee we will be drawn against them in Europe next year. It will make a change from playing Barcelona and Liverpool. Meanwhile Sven is available after formally being sacked by Manchester City, who in turn asked permission to speak to Mark Hughes… all is change. Jose Mourinho said he thought it natural that his old players at Chelsea would want to work with him again, but that any sale would depend on Chelsea being willing to sell. He said that he has a vision of changing his squad one or two players each season, he has a three-year contract, which means that only a maximum of six Chelsea players will be at Inter by the end of 2011. His Italian is almost perfect already, clever man that Jose. Meanwhile, Sky News worked themselves into a froth because, they said, Chelsea have agreed a deal with Carlo Ancelotti’s representatives, only for the man himself to say that he was going nowhere and would manage AC Milan for many seasons to come. This rebuttal itself became their breaking news for the next hour and half. Chelsea issued a statement saying they had reached no agreements and not approached any other ‘organisation’ to speak to their manager. Milan have confirmed that they’re interested in Drogba and Shevchenko, but you knew that anyway. Striving to more like Barcelona Aston Villa have given their shirt sponsorship to the hospice charity Acorns. Mark Hughes has agreed to become the next Manchester City manager, ruling out one of the favourites for the Chelsea job. Hughes would have been a popular choice for Chelsea but the club seem intent on a very experienced manager with league and Champion’s league success already on their CV. Meanwhile back at Inter, Michael Essien’s representatives have denied that he will be following Jose. Luciano Spalletti is the latest to rule himself out of the Chelsea running. The Roma boss certainly produces teams that play fine attacking football but lacks in all the other categories the club demanded. The press have now lined up and knocked down most of the managers in Europe. And yet the club are content with their search and say they have not approached anyone. Something doesn’t tally between those two accounts. We could be losing another midfielder if the Polish paper Super Express has its way. They pictured the Polish coach holding the severed heads of Ballack and German coach Joachim Löw ahead of their game on Sunday. We could be in for a windfall from Adrian Mutu, remember him, low scoring coke-head striker sacked for well, taking cocaine, according to his lawyer the Court of Arbitration for Sport have suggested he pay £9.6m in compensation. The figure represents his transfer value at the time of the offence. He will, of course, appeal. Amid the usual hoopla, with added newspaper plugs about whom you should support or unsupport, the European Championship kicks off. Petr Cech had little to do to be honest, the Swiss weren’t as inept as we’d been led to believe but rarely threatened, until a concerted late push that yielded only a few half chances. The Czech’s themselves seemed stodgy, to quote Martin O’Neill, with Jan Koller lumbering around up front you had to agree. Although Koller said afterwards that taking him off was “a great decision”, he ain’t kidding himself. ITV shamed themselves in their first involvement in Euro 08. Tyldesley almost came on air while extolling the virtues of Ronaldo, the man’s United supporting should get him fired but on he goes, even when the sainted one allowed a ball to run into touch it was described as an attempt to do something brilliant. The goals didn’t come from Ronaldo, although his simple square ball was to start the move for the opener was drooled over, Ricardo’s central defensive partner Pepe ran the length of the pitch to score the opener and the win was secured by Meireles at the death. Little sign of Modric being the god that White Heart Lane craves, but he was cool in dispatching a penalty awarded so early we were still loading beer into the fridge. The rest of the match suggested that if you get at Croatia they’ll wilt, Austria didn’t have the guile to create clear chances but they had the majority of second-half ball and pressure. Capello watching from the stands made a few notes. Polish born, Lucas Podolski scored both goals but the headlessness, or should that be brainlessness, came from Polish fans making Nazi salutes, it is unfair to brand the entire nation with the actions of its twatish minority but you have to hope they go home quickly. Arrests were plentiful before the game with Austrian police citing ‘administrative offences’ for most of them… er, no we don’t know either. Ballack looked careless to start but dominate the match after that and had a chance brilliantly saved by Boruc. Meanwhile in the World Cup Ghana led 3-0 when Michael Essien was withdrawn and struggled through 3-2 against a late Lesotho surge; a lesson for the coach in there somewhere. That makes two wins out of two for Ghana. In transfer rumour land comes the strangest tale in many a year – Chelsea say Shevchenko not for sale! That just cannot be true. Most wisely fell asleep after 30-minutes of this and slept through until the start of the next one. This was awful, like watching Chelsea at our unimaginative worst, plenty of French possession but no penetration, needless to say Malouda played on the right, Anelka played for the absent Henry and Ribéry, despite all the talk about him looked ineffective. Much better, the first game to reach three goals, one of which was a cracker, but there is a problem with the officials. Holland’s first goal scored by Van Nistelrooy from an offside position. The referee and linesman remained convinced they were right to award the goal because Christian Panucci was lying injured behind the goal line. They argue that any player who leaves the pitch without permission must be taken into account when determining offside. To which we can only say rubbish. The man was down and injured and these officials have just extended the playing area to cover their mistake. If the law has been changed to stop players deliberately stepping off the pitch then it clearly does not apply in this instance, Panucci hurt himself trying to clear the ball. The ref and linesman are simply making up excuses. The controversy is a shame because Holland’s second goal was a breathtaking break. Van Bronckhorst cleared off his line and then broke crossed to Kuyt who headed back for Sneijder to score. The third from Van B wrapped things up after Italy struggled to get chances on target or beat Van der Sar when they did. One Khalid Boulahrouz, who is still on our books, played very well in defence. Earlier in the day Fabio Capello piped up and said he though Frank Lampard could do with some experience abroad. Thanks Fab, but we’d really rather he stayed. Gus Hiddink’s qualifications took a bit of a knock as his Russian team was thrashed by Spain. The Russian’s did hit post and bar as well as creating a few good openings but David Villa’s hat-trick had the buried before they managed to pull one back. Fabregas was offside (will this be a theme) to restore Spain’s three-goal lead. Another date for your diary, Chengdu Blades on July 26. The Blades come from Sichuan, which was at the centre of last month’s earthquake. Champions last time couldn’t keep their defensive shape as Sweden scored one of the best goals of the championship through Ibrahimovic and the scruffiest through Hansson. Big Phil (Felipão) has landed: we have a new manager Luiz Felipe Scolari, 59, widely tipped in the last few days but expected to sign after Euro 08. There will be mixed feelings from a lot of Chelsea fans that wanted a talented young manager to bring both flair and stability. By all accounts you get flair with Scolari but he is anything but stable. We think he’ll do a great job of providing flowing football, amusing the press, and charming the tea ladies. Will he win anything? Probably not in his first year we will have to give him time. There are doubts that he has never managed in Europe but as Portugal manager he knows his way around. The next big question is what kind of football are we going to get, the dross served up by his sides in Brazil or the flowing, and at times thrilling Portugal? His reputation in Brazil was like Mourinho’s here, defensive negative sides but ones that won trophies. There will be fireworks at press conferences again after a year of Avram’s mumbling we’ll have jokes and emotion, although in what language is not yet clear. We hope he learns languages quickly and avoids the farce of Ranieri when he started; a nice bloke trapped by language into the words of interpreters. 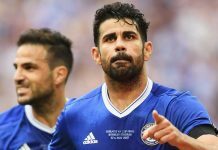 Chelsea are confident; “Scolari gets the best out of a talented squad of players and his ambitions and expectations match ours. He was the outstanding choice”, to which we can only add that he starts on July the 1st and neither the club or he want to talk about the appointment until after his current job is done. And, yes, he looks like Gene Hackman. A glowing illustration of Big Phil’s football on the day we signed him. At times this resembled a Ronaldo v Cech shootout and Petr came off pretty well saving eleven times in total and being blameless for the goals. Deco, already widely linked with a move to SW6, opened the scoring and played superbly throughout. The only thing you could fault him on was the scruffiness of his strike compared to the riches to follow. Libor Sionko levelled for the Czech from a corner he’d won with a thrilling run. In fact Sionko looked to be the game’s outstanding player, we hope big Phil was taking notes. Ronaldo scored Portugal’s second but only ones suspects, to enable him to run through his repertoire of winks and smiles. He later set up Quaresma from a debatable free-kick for three. Eddie Waring and Stuart Hall should have refereed this game; it rained so hard that the Swiss opener came from a ball across the box that stopped in a puddle dead centre of the six-yard box. Everything looked so rosy for the Swiss at half-time, 1-0 up and playing solid and confident football but they bow out of their own championship with a whimper, Turkey playing their joker two-minutes into injury time as Arda Turan finished a flowing move. Croatia marched into the quarter-final against a woeful German side in which Ballack played like a lump of wood. Croatia’s winner from Ivica Olic was one of the finest comedy moments from tournaments past and present. Thinking back to the two we gifted them in the qualifiers you have to ask why do gifts keep falling the Croat’s way? Howard Webb just hadn’t been noticed in this match so he awarded a last minute penalty to the co-hosts. Until the penalty Austria hadn’t looked like breaching the Pole’s defence. It seems Felipão has made a near flawless start, been accused of arrogance and pissed off Alex Ferguson. Anger is reported in the Portugal camp about the timing of Chelsea’s announcement, plenty of Abramovich haters in the press have mouthed off about how arrogant we are to make it public while the tournament is still going. To which we can only say grow up. Others from the Portugal side have said they are disappointed he is leaving but that is some way short of angry. One person who will be fuming is Alex Ferguson who perceives Scolari as instrumental in Ronaldo’s decision to leave Old Trafford. The Football Association investigation into Patrice Evra’s racism allegation gathers pace. They are studying the cctv but United’s submission does not contain witness reports so they’ll have to wait until everyone s back from Euro 08/holiday to finish up. Oh and the spineless lickspittles at the FA are not going to appeal the decision to let Ferguson and Carlos Queiroz get away with their criticism of the referee Martin Atkinson. They pretty much accused Atkinson of cheating after their FA Cup quarter-final with Portsmouth. Does this mean that managers now have freedom of speech? Fernando Torres will be staying at Liverpool according to Liverpool, Bayern München have said that Franck Ribéry will not come either. So, it seems all the transfer targets, lined up for us by the media, have already said no. Apart from Deco who is being linked to us through contacts in the Portugal camp. This Dutch side have simply rewritten the style book for group stages. No cagey openings, no defensive tactics, all out attack. And yet France played so well, created so many chances but just as they pulled a goal back through Henry’s deft touch, Arjen Robben broke up field to score. Wesley Sneijder’s finish right at the end was the pick and should alert Big Phil, if Ribéry is not available Wes would do instead. Gutting for Sweden to lose to a last minute David Villa goal. Villa is not coming to Chelsea according to today’s reports but he looks a canny finisher. Still perhaps the rumours will turn in the night and we’ll be buying him again. Where do journalists get their lists from, Scolari hasn’t even started his job yet and yet they already have eight players definitely going to Chelsea, or not? For all our enthusiasm for Hiddink his Russia side are just this side of awful. Greece, luckily for Russia, are just the other side. Scolari has been talking about his reasons for joining Chelsea; money did come into it, which will delight those who hate us. Perspective seems to be lacking in some of those journalists who want to portray everything connected with Chelsea in terms of Roman’s money. Of course a substantial salary is attractive, especially if, like Scolari you are looking to retire in five years time. The challenge represented by coaching in a new country, taking on the best in Europe in the Champions’ League and rebuilding a team are as important but simply not reported. Oh and noises from Didier suggest that he is a Chelsea player until the end of 2010 and doesn’t want it any other way. Big Phil admitted to not being perfect after this match, which Portugal dominated with a second-string side but contrived to lose. Portugal made eight changes from their previous match, Scolari said: “I made a mistake and should have made 11 changes, not eight,” referring to the threat of suspension that yellow cards in this match brought. The Swiss at least bow out of the tournament with something from Yakin’s two late strikes. Petr Cech will not remember this season with any fondness. He dropped the ball onto a Turkish boot for the equaliser and then watched as the ball was lashed passed him for an improbable winner from a Turkish side who trailed 2-0 with fifteen-minutes to go. Petr’s frailties, occasionally evident last season have grown. His new boss will watch carefully. And the first Chelsea scorer of Euro 08 is Michael Ballack. Austria were hoping for a miracles but were just too limited. Portugal will test this German side and probably beat them. Second string Croatia beat a Poland side that needed to win to stand any chance. Portsmouth at home will be our chance to welcome Scolari as the new fixture list comes out. Mourinho was saying yesterday that it is still his Chelsea. Jose’s new president Massimo Moratti confirms that Inter want Frank Lampard. Frank is a diligent and intelligent player, we’ll leave aside his support of David Cameron in that assessment, and if any England player could make a success of Italian football it would be him. How Chelsea replaces him will be the real test of the club. There follows a trip to Wigan and then a home game against Spurs. In a reverse of last season we’ll play home games against the other members of the top four club, before the end of November. It all finishes on May 24th with a trek to Sunderland. Oddly the Champions’ League is then three days later in Rome with the FA Cup final three days after that. Let’s hope that we have that problem. Looking across the fixtures Arsenal have by far the easiest start but they will have to build a lead because the second half of the season looks difficult. Manchester United play difficult away ties after almost every early Champions’ League fixture, Liverpool, we didn’t bother looking up their fixtures, they’ll draw too many at home and lose one in three on the road and that will be the end of them. Final word for poor Stoke City who don’t really have a winnable match for the first three and a half months. Our French boys can hit the beach after suffering every bit of bad luck going in losing to Italy. First they had a man sent off and conceded a penalty with which Italy took the lead. Then Ribéry tore a calf muscle, and then, just as against Holland, as the French looked powerful in search of an equaliser the Italian’s scored on the break. And no, that was Ambrosetti who used to play for us not Ambrosini. The second string Dutch, containing Robben and Boulahrouz cruised passed the Romanians and kept their 100% record. Hiddink’s reputation is restored by this thrilling display. Russia now face the Netherlands in possibly the best spectacle of the quarters. Arsenal have been hovering over Ashavin, but then nobody wants to sign for us this summer in any case. The defending champions at least scored a goal but few will lament their passing, or rather lack of it. Ten men behind the ball might have won them the tournament last time but everyone was wise to it this year, they cannot seriously have assumed that it would work twice. Not having a plan B must undermine the credibility of their coach. Aston Villa agreed a £5.5m fee for Steve Sidwell nothing will be confirmed until personal terms and medicals have been arranged. We might actually make a profit on a player for once. Claude Makelele announced his third international retirement; we just hope he can make it stick this time. If we play Liverpool in Europe next season, sorry, when we play Liverpool in Europe next season there will be no John Arne Riis to help us along, The Reds sold him to Roma today for about four. Michael Ballack pushed Paulo Ferrier off the ball to head home Germany’s third and guarantee their place in the semi-final. Big Phil was angry but gracious, he knew his players were smaller than the Germans but his defensive tactics took a stern examination. Perhaps he’ll switch to man marking in the league. Germany’s first goal was not helped by new-boy Bosingwa; he failed to prevent Lukas Podolski crossing for Schweinsteiger to score. But he had looked lively going to other way providing two brilliant crosses, which Gomez failed to convert. Portugal looked shell shocked after the second by Klose from a free header, their reply was to match invention against organisation and they were rewarded with a goal from Nuno Gomes just before the break. Michael Ballack is now the only Chelsea player left in the competition, unless you count Mickey Droy who is playing for Germany with Christoph Metzelder on his shirt. Tragic news that Khalid Boulahrouz’s baby daughter died. The baby called Anissa died after being born prematurely. Khalid has made himself available to play in Holland’s semi-final on Saturday but if the coach has any sense he’ll send him home. There are rumours that Steve Kean, Coventry City’s assistant coach will join the backroom staff. Kean played in Portugal for six-years and speaks the language. Come-back kings hardly describes this Turkey side. Not expected to progress from their group with ten-minutes remaining of their final game they beat the Czech Republic, a goal down in injury time here they levelled and won the shootout to secure a semi-final against Germany. Portugal have been bleating about the announcement of Scolari’s appointment to the Chelsea job. FPF chief executive Gilberto Madail said he was surprised by the timing and intimated that it had undermined their campaign. Roman will have had a good night until he realises that he might well have appointed the wrong Euro 08 coach. Hiddink’s Russia out-thought and out-played the Holland side that looked unstoppable in their group. The Dutch did have their chances but the better football came from the young Russians. Andrei Ashavin was again the tormentor in chief, constantly threading balls through to colleagues for chances. Russia took the lead when Roman Pavlyuchenko volleyed in only for Ruud van Nistelrooy to level with three minutes to go. The revival by the Dutch was too little and nearly too late because first Torbinski and then Ashavin himself scored to avoid the necessity of penalties. There is hope for England, despite a wretched record in penalty competitions Spain beat Italy tonight after losing three shootouts and all on the same date. The commentators kept reminding us that Spain had lost three times on June 22nd but the paucity of Italy’s play throughout was something of a mystery. The consensus was that they must have been plying for penalties because however commanding their defence in snuffing out the best Spain could manage in a tight and nervous game they rarely threatened to actually play football. Spain deserved this. Big Phil has denied attributed quotes suggesting he told Ronaldo to leave for Real Madrid, well he would say that, wouldn’t he and frankly who cares. Talking of Frankly there are reports that Jose has cut short his holiday in order to concentrate on signing Frank Lampard, which will not be such a blow if we sign Ashavin, who says he wants to play in Spain. Is everyone clear on that now? Storms, power cuts, late goals, only this time it all favoured the Germans. Turkey’s recent reputation for upsetting the odds in the last few minutes looked to bear fruit when Senturk equalised with four-minutes left, only this average German team had a surprise of their own, Philippe Lahm running unchallenged into the Turk’s penalty area to receive a return pass and put the Germans through. Much of the proper press, including some surprising sources, have suggested that England would have brought nothing to this tournament and simply don’t have the stars to make an impact. The progress of this ordinary German side with a dysfunctional defence proves otherwise. Would Joe Cole have looked out of place, or Rooney, Frank Lampard would have filled his boots against these defences, and our own defenders would have looked the best in Europe by comparison. So next time some bloke in the boozer attempts to tell you that England are crap and couldn’t even qualify, point out that the teams that qualified ahead of us have lit up the tournament and that our qualifying group was the only one to produce two quarter-finalists, and if all else fails just pour a pint over their head and see what happens. We already owe our new boss a big apology, Big er, Fil said he doesn’t want his name spelt with an Ph, “I want to see my name spelled with a ‘Ph’, I want to see it spelled with a ‘F’. It is Felipe, not Phil”. We’ll call him Felipão instead then. Chelsea, remember them, football team we support; it has been such a long time since we had any real news it feels like we have written about them for a while. Well, they’re in court today having admitted unfair dismissal of the former director Paul Smith. Paul was instrumental in getting the Samsung deal and has asked for half-a-mill as a payoff. The club have offered £60,000 odd, which doesn’t sound like enough. 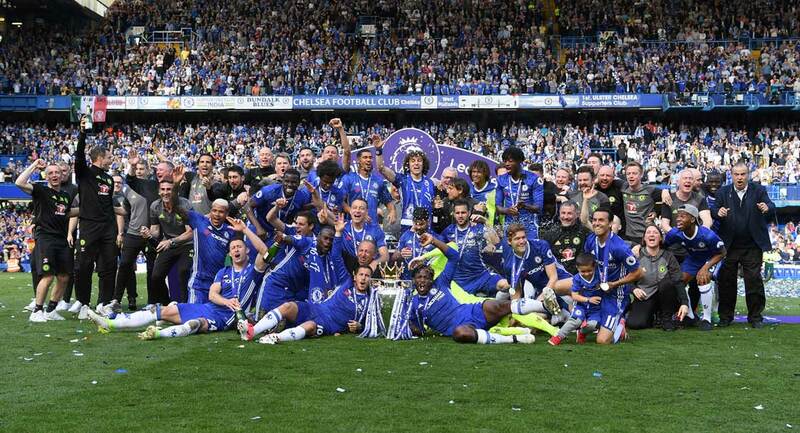 Chelsea announced a youth training scheme in the US, with seven-a-side tournaments and alike. Whatever else people say about these kinds of initiatives, global-marketing etc, you have to admire the club for primarily going for generating youth development programmes both in China and the US. When Manchester United tried this kind of global reach they teamed up with the New York Yankees for some mutual global exposure, which sounds as bad as it is. At least Chelsea aim to get them young and help their education at the same time. Germany are stuffed, not only is Ballack viewed as something of a serial loser but Spain, on this form, are going to bury their defence. This Spanish side were simply rampant. Losing David Villa to injury actually strengthened their cause because Fabregas came on to play between midfield and attack, linking brilliantly forward and helping the team to defend through midfield. Russia simply couldn’t get a rhythm and Ashavin was peripheral and frustrated throughout. Spain’s goals came from Xavi just after half-time, Guiza with twenty-minutes to go and the finishing touch belonged to Silva. After a frightening three day gap between semi and final when you start to realise what the summer would be like without football, albeit European nations playing each other with no England, Scotland and etc. you’ll feel every aching second of its absence. Perhaps not everyone is so addicted but, no, you’ve read this far down a Chelsea diary piece in a month when there has been precious little news of the blues, you are on of those who will suffer in July and early August. Anyway the football, Spain banished all of their daemons but were somewhat over praised by the pitiful BBC panel. John Motson knows when it is time to quit, bored with listening to his co-commentator, Motty hung up his guns after thirty odd years and a hundred and fifty World Cup Finals none of them won by England, he deserved a better send off than to have to sit next to Mark Lawrenson a man incapable of saying anything positive. With the Alans, Hansen and Shearer boring on about how bad the Germans were it was again left to Martin O’Neill to talk sense and entertain the viewers. He was clearly annoyed after the final whistle that the panel kept bidding each other up on how many Spain could and should have won by such was their complete mastery of the final, from the 1-0 score bids were up to 5-0 or 6-0 as quickly as you could say, “typically efficient German shambolic defending”. The truth that O’Neill seemed to be biting back was that while Spain thoroughly deserved their win, and the German’s didn’t make too many clear cut chances there was enough time in this match, form Germany’s bright opening 15-minutes to their desperate search for and equaliser, when the result was in doubt. Of course Spain created the better chances, but Jens Lehman had few real saves to make. So it was a good final, Torres’s goal showed determination Spain controlled the ball well, kept attacking to the end. Overall a good final, not a great one, except for poor Michael Ballack, we wouldn’t have cared so much. The man’s a collection of albatrosses at home on which he can hang this runners up medal up alongside his others from this season and from previous years. Deco (Ánderson Luís de Souza) signed on for two-years at just under eight million pounds (and no we’ve no idea why we didn’t write it pound sign-figure-abbreviation, give us a break it’s the end of the month), which is about what they gave us for Gudjohnsen, so it’s a fair swap. He will be seen as a replacement for Lampard as rumours about a deal have been getting more detailed without any strenuous denials from the club. Deco is hardly a long-term answer but if he plays consistently he can be an incredibly penetrative midfielder. Don’t expect twenty-goals a season, but at his best he can provide twenty chance a match for his colleagues. He has to be a good player because the Benfica manager when he signed there from Brazil in the nineties thought he’d never make it in the game; take a bow Graeme Souness. Jose Mourinho disagreed and made him into one of the most respected midfielders in Europe. This signing is obviously short term, provides Felipão with another ally in the dressing room, but strangely reinforces the idea that this is still Mourinho’s Chelsea; so far this summer we’ve brought two of his Porto team’s most important players.